While our country is divided in many ways, after Vegas we find ourselves united in common shock and sadness. God’s people are uniting all over the country, crying out to God in a united voice. The following was the basis for prayer we offered at Mountain Christian Church this weekend, and it is shared here as a help for anyone groping for words for God. We woke up to the news Monday morning of this horrific and senseless slaughter, and our hearts sank to yet another proof that our world is so broken – so riddled with hate, so contaminated with evil. Many are discouraged, some even hopeless. There are so many things we don’t understand, Lord, things we don’t know. We pray for the victims and survivors. Lord, every person is worth so much to you. You see a sparrow fall, so we know your heart breaks for every one of your children who was shot, injured, or traumatized. Help them to find comfort and strength, Lord, knowing that we weep with those who weep today. We pray for healing, for hope, for love and light to fill hearts of people overrun by the effects of hate and fear. We pray for the families of all injured, traumatized. For those whose arms will remain empty because a loved one was taken…for those who are grieving a friend’s trauma, we pray. For those whose loved ones perished, may your presence be as near to them as their next breath. Bind their souls, and use this tragedy to draw people to you as their true source of hope. We pray for the city of Las Vegas. 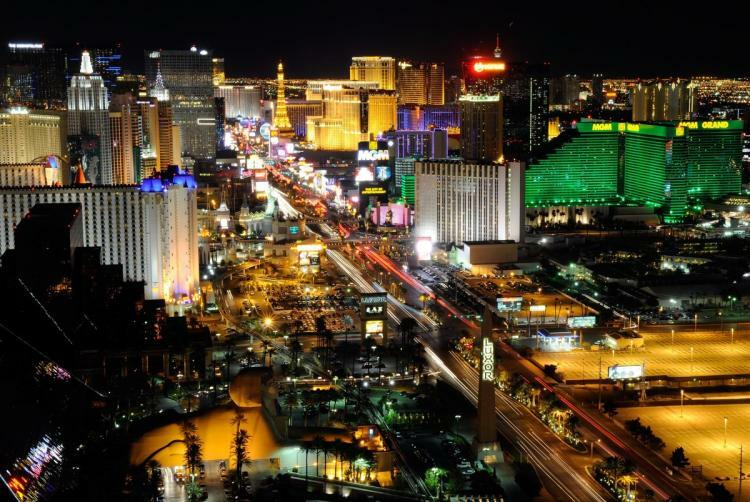 We call it “sin city,” but Lord, it’s filled with people you love, and so we pray for its 2.2M people. That somehow through this they will sense our concern and know that overwhelmingly there is support and love around them, and let them know it comes from you. We pray for civic leaders. Your word commands us to pray for kings and those in authority, so Lord, we pray for those who have crucial roles of leadership in the aftermath. We lay aside our political differences and humbly pray now for Las Vegas Sheriff Joseph Lombardo, Las Vegas Mayor Carolyn Goodman, Nevada Governor Brian Sandoval, & President Trump and all the rest. We pray that some of your wisdom would flow through them so their decisions would reflect your desires for good for all people. Give them and us all wisdom to enact and enforce laws that protect freedom while restraining the capacity of evildoers to do evil. We pray for the church. This is a dark time. But in times of deepest darkness, the Light shines all the brighter. And you have told us that WE, your people, are the light of the world. So we pray for our brothers and sisters in Christ who are on the front lines in Las Vegas, who have everyday opportunities to rise up and demonstrate your HOPE and compassion. Help them to be especially visible as they share the love of Jesus in the midst of great pain. Help them be at their best to show unusual calm, head-turning compassion, and much needed love. We pray for ourselves – help us to see the sin in our own hearts, and forgive us, Lord, for the hate inside us which contributes to a society that harbors hate – even when we fail to see the part we play. Help us to humble ourselves before you as a people, as a nation. And teach us to learn again how short and fragile life is, and to love and care for those around us as if we only had today. And use us, God, through whatever means as you direct, not only to fall to our knees to pray, but to rise up and be part of the solutions so that this world can be made right in your sight.